Over the past few years, I’ve become increasingly interested in writing music, originally to get to grips with Sibelius software, but eventually blossoming into a creative outlet. When publisher and composer Elena Cobb kindly asked if I’d like to write a collection of piano pieces, it was an offer I couldn’t refuse. 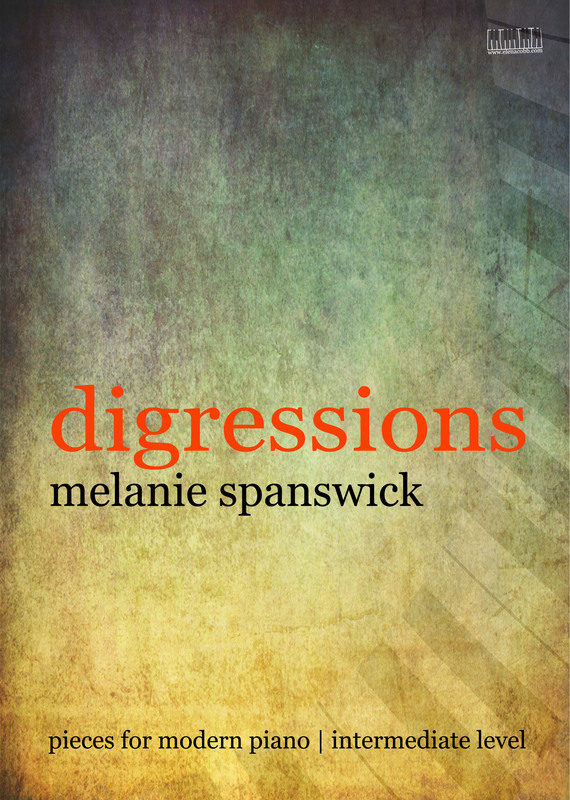 Digressions consists of 5 piano pieces; designed for those who are around Grades 4-6 standard (ABRSM level). The pieces were inspired by Minimalism and cinematic music, and lie comfortably under the hands without appearing too simple or lacking in content. Educational piano pieces are, by necessity, succinct and brief, but in my opinion, little pieces are mostly written with the younger learner in mind. There’s an emphasis on colourful pictures, cartoon characters, all framed by jazzy pieces with bright, cheerful tunes, which is fine if you like this genre (and many do). My goal was to write works for teenagers and adults who want an alternative to the jazz/ragtime idiom, Musical Theatre genre or ‘easy listening’ culture. Many adult amateur pianists love performing and learning new pieces, but they would rather not endure the challenge of preparing pages of complicated, demanding music; they prefer works to be short, attractive and easy to digest. Digressions are perfect in this respect. Each piece contains a different mood or character, and could be included in a Contemporary recital programme, a festival programme, school concert, music club or meet-up group performance or just enjoyed with a glass of wine after dinner!